As some of you may know recently we took over the twitter chat #indiechat. #Indiechat is held every Tuesday at 9pm EST. You can check out our previous chat logs on BiblioCrunch Storify. This week on #indiechat we will have @willentrekin talking about whether you should enroll in Kindle Direct Publishing Select or not. We’ll also cover the pros and cons! Will Entrekin is a Pittsburgh-based writer and the founder and director of Exciting Press, an independent publisher of digital literature. 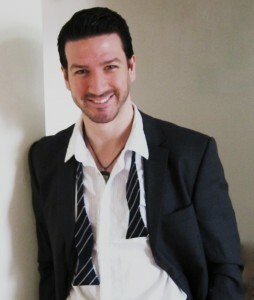 Born and raised in New Jersey, Entrekin studied fiction and screenwriting at the University of Southern California’s Master’s in Professional Writing program with best-selling authors Rachel Resnick, John Rechy, and Janet Fitch and filmmakers including Irvin Kershner, Syd Field, and Coleman Hough. He wrote The Prodigal Hour with the guidance of Shelly Lowenkopf and Sid Stebel, an author Ray Bradbury called “The greatest writing teacher ever,” and received the 2007 Ruth Cohen Fellowship, as well as a 2008 lectureship position teaching composition. After graduating from USC, Entrekin earned an MBA in marketing from Regis University. Entrekin has worked as a commercial production assistant at Young & Rubicam NY, an editor for the Journal of Psychosocial Nursing and Mental Health Services, and a personal trainer for Bally Total Fitness.